google online job search engine is launched - check out if you are a job Seeker!! Google online job search engine launched by Google recently. Yes, it is true Google’s new job search engine live on the internet now. The technology giant recently launched its own job search engine with a lot of features in it. According to the sources, the new feature comes with machine learning algorithms to sort and organize the job listings. from a huge range of job portal sites. This includes LinkedIn, Glassdoor, Monster etc.Machine learning algorithms are recently becoming very popular as they will learn your behavior and based on that they provide you with the best results of your taste which you like. For example, if you are searching for a job of data scientist role. When you type this keyword in google search engine Google learns that you want a job of data scientist. So using the machine learning algorithms it will try to get you the best results out of obsolete results. 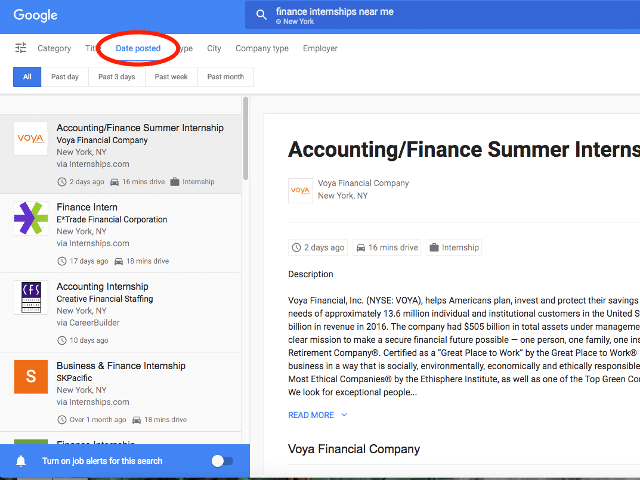 Indirectly Google is helping you out to get your dream job. google online job will surely get you the best job if you stick with it. Machine learning and artificial intelligence are a top technology and trending technologies in the current scenario. google online job portal will get you job suggestions based on many filters like your preference location, Job role, Salary and other features. Since google online job portal using cutting edge technologies it will be a huge success for the company and job seekers. The motive behind this project: Google online job search engine. Google has many other projects going on some are public and some are secret. Other tech giants Facebook also working on this concept. This is a hot topic because IT unemployment rate is quite significant in many countries. People are worried about jobs after they complete their studies. Google online job search engine purely helps job seekers. If you are a job seeker you definitely have to check out once it releases officially. If you want to know about job openings in Google click here. Please like and share to get best technology articles to your doorstep.